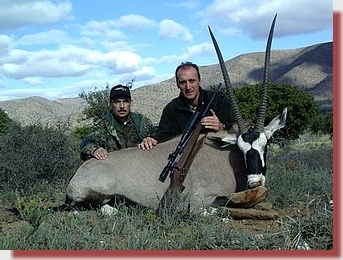 Mario uses GS Custom bullets exclusively and is your contact in Italy should you wish to order some. 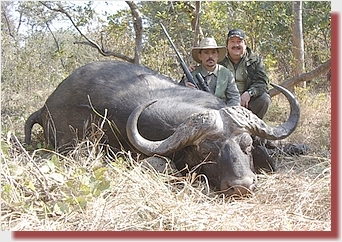 For his Buffalo hunt in Africa during July 2008, he used 400gr GSC HV bullets in a 458 Win Mag. 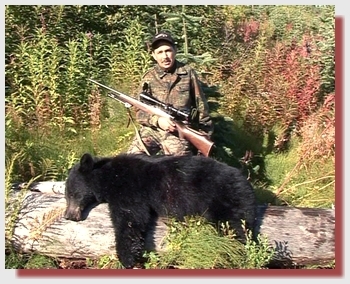 He shot this bear in Canada, using the GS Custom 7mm 130gr HV and an Anschutz 7x64. 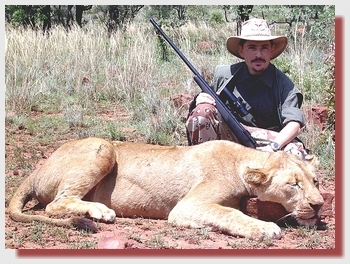 On his lion hunt in South Africa during 2007, Mario used FG Safaris' 458 Win Mag, fitted with Tasco Red Dot sight and GSC muzzle brake. 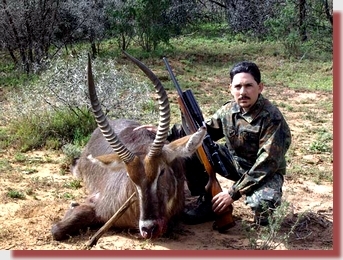 Below are more pictures of Mario with animals shot on previous visits to FG Safaris in South Africa.